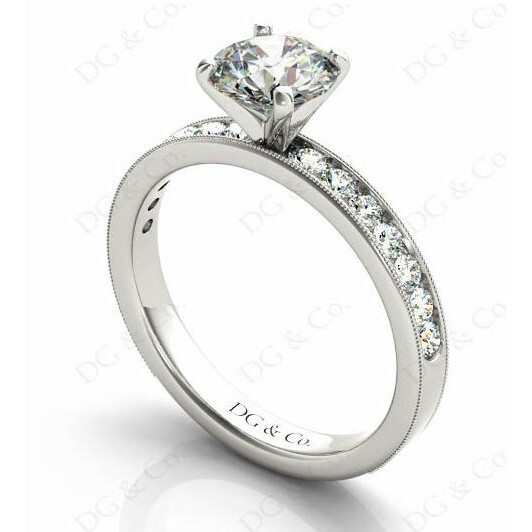 Brilliant Cut Four Claw Set Diamond Ring with Brilliant Cut Diamonds Channel Set Down the Shoulders. 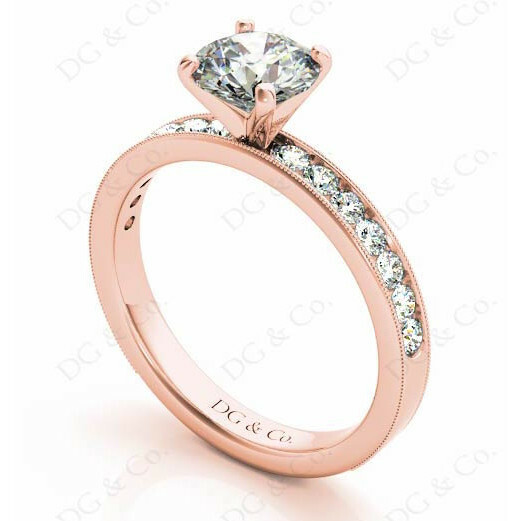 Brilliant Cut High Four Claw Setting Diamond Ring with Brilliant Cut Diamonds Channel Set Down the Shoulders on a Band with a Miligrain Feature. 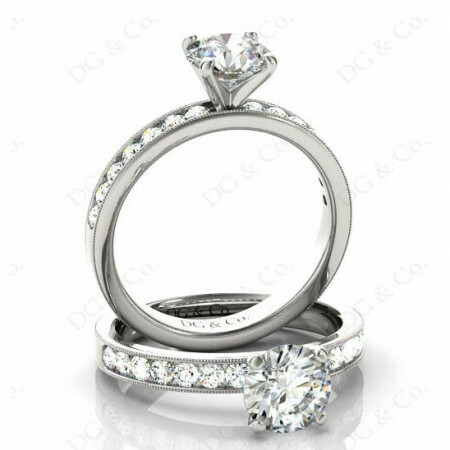 You're reviewing: Brilliant Cut Four Claw Set Diamond Ring with Brilliant Cut Diamonds Channel Set Down the Shoulders.